MOROCCAN CLEANSING BATH AND AROMATHERAPY MASSAGE – 90 MIN. At Bamboo Spa, we have created a space to renew your strength and vitality for life. Select from the finest botanical treatments for the face and body in an environment conducive to relaxation and tranquillity. Using naturally inspired architecture, and with care and wisdom from the finest spa professionals from around the world, let the Bamboo Spa experience soothe the mind and nourish the body. Is to inspire and empower the integrity of well-being, to become a leader in the Oman market setting standards in the industry in this region. 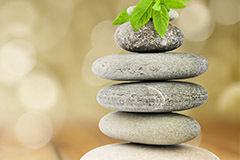 We accomplish our vision by bringing the highest quality products and services to our spas, always ensuring each spa has a unique selling point by promoting balance of body, mind and spirit, where the only focus is the client in decadent, comfortable surroundings. Balance: Acknowledging that body needs balance to be able to function effectively. Aim: To personalize our services to you. 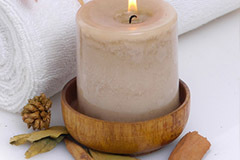 Bamboo Spa recruits experienced qualified therapists who can adjust to the client’s needs to give the best treatments. To Nurture: To provide a foundation of quality care and support. Health: Realizing maximum potential in all aspects of our well - being. 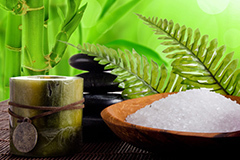 Bamboo Spa hopes to facilitate the process of health management in each individual by conveying the importance of using only the highest quality products and services; what we use on our bodies is absorbed into our systems as food for our skin and can improve well-being, slowing down the aging process.